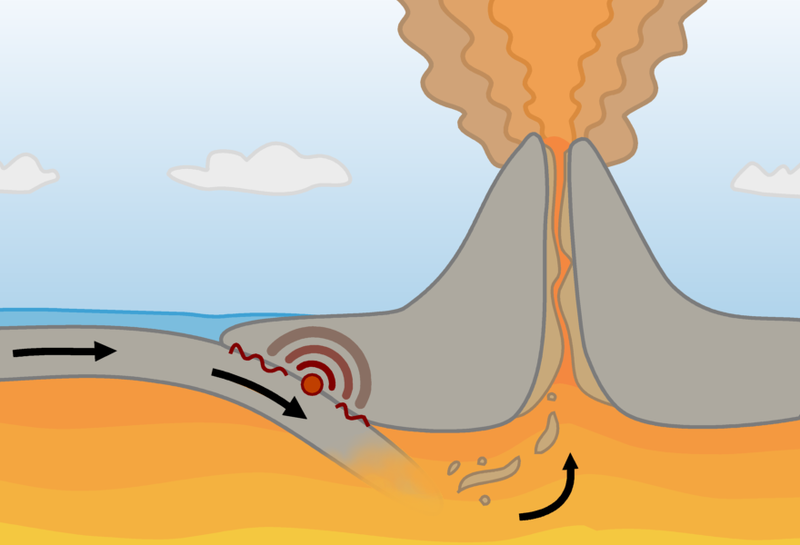 A construtive (tensional) plate boundary happens where plates move apart. Most of these plate margins are under the oceans. 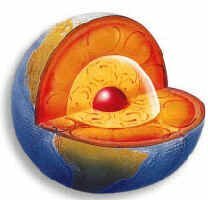 As the plates move apart magma rises from the mantle to the earth's surface. the rising magma forms shiled volcanoes. Constructive (tensional) plate margins occur where plates move apart. Examples below include the South American Plate and African Plate and the Eurasian Plate and the North American Plate. Iceland was formed as the result of sea floor spreading in the North Atlantic. The image below illustrates this.